SO… WHAT ARE THE PUBLIC ATTITUDES TOWARDS DISABILITY? 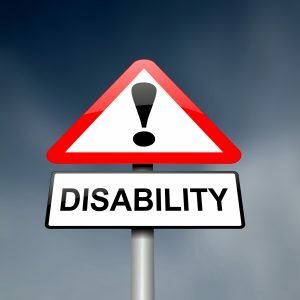 This page will deal with how the public deal and cope with people with disabilities of all kinds including invisible disability which CRPS is. The general public can have varied attitudes towards people in wheelchairs, with crutches, slightly different look in their face, arms in plaster… The list goes on! How do you deal with someone staring at you or calling you names or talking about your behind your back about your disability? Well… the first thing is not to get angry or upset about it because you are only upsetting and worrying yourself and not them. Those sorts of people need to be educated about disability and what it means. A couple were at a lovely restaurant in Manchester town centre for her husband’s birthday and she wanted to use the disabled access toilet that also happened to be the ladies toilet as well. Due to the woman’s major mobility problems they struggled in the small toilet to be able to get to the loo and they needed to go out of the door and come back in again to ‘attack’ it at a different angle. The couple then heard a bang on the toilet door, but they said nothing and began to back out of the door and the husband explained to the lady who was now standing there, that they had to go back in again because of the problems with the wheelchair and she just stared at the couple. They thought nothing of the incident until they reached the table where their family was sitting. On the table next to the couple, was the lady that had been banging on the toilet door talking, no that’s not quite right, angrily shouting at her partner that the husband had been so rude and they shouldn’t have been using the ladies’ toilet and how dare they make her wait and then use another loo downstairs… and the tirade went on and on. It was so obvious that it was made loud enough for them all to hear. What they both said next was just unbelievable – they were told that ‘because she was in a wheelchair she shouldn’t have even been out in public, she was disgusting, scum of society, people in wheelchairs are a drain of public money’ and so it went on in that manner. The restaurant went deadly silent except for the shouting of the lady and the management rushed over to us and couldn’t stop apologising to us. The couple tried to explain about the toilet being a disabled access toilet as well as the ladies and they were sorry for taking time, but it just fell on deaf ears. Fortunately for them, the couple began to leave and she breathed a sigh of relief. It had ruined their night and they all couldn’t stop talking about it. That was an example of a small section of the public’s’ attitudes towards disability and yes it is an extreme example but one none the less. Some people are interested to learn more about your disability, others are not bothered and some are not interested at all. This next story has come from AIYSHA SCOTT who contacted us to tell us her short encounter of the public attitudes towards disability. I had my kidney removed and about a week and a half later my step- mother wanted to go to Costco. I remember not even having my sutures removed at the time. When I got to Costco I got into the electric cart. People were staring at me the entire time. Looking at me with their eyes saying “why are you riding in that cart?” I am 38 woman year old woman but people tell me that I don’t look my age. I say that so say that basically the people walking in Costco were looking at me to say you are too young to be riding in that cart. The stares were getting too me I was feeling very self-conscious I wanted to leave that store, but my step mom wasn’t done her shopping. Meanwhile I wasn’t prepared for what was about to happened next. Someone walked up to me and said are you finished with that cart because there is someone outside who needs it more? I looked at that man like he was insane, and I said no I am not! Now the stares were one thing but to come up to me and to utter such mean nasty ignorant words were another. Who is he to say that someone needs the cart more than me? People can be so judgmental. He looked at me and because of he saw no physical impairments he thought I didn’t need that mobile cart. I was already self-conscious about the fact that people were staring and to have him say that too me really hurt. Now when I can’t walk due to my flair ups I find myself staying in the house due to that unfortunate event. I’m just about able to work part time in an adapted, low paid job. I work above my grade to prevent myself going mad. On the way home from work, I went as usual, to sit in the bus shelter (people stare at this action. They think it’s queue-jumping. They hate others doing such things). It was late evening, and about five (5) people wanted the bus. It’s a stop where people rarely queue, there isn’t a need. A man blocked me from getting on the bus. I was in very considerable discomfort and I moved away from the man but closer to the bus in order to sit asap. The man allowed someone older on the bus first. He then blocked me with his umbrella and said that there was a queue. I said that I had long term damage from being run over and he said “I don’t care”. I responded calmly by saying he had ridiculous behaviour, and in the end called him a “ridiculous man”. However, I got home and burst into tears with the shock and upset, which is unusual for me. On reflection, I’m glad I managed to keep cool, yet quietly tell him what I thought. He maybe had issues, but that didn’t really help me and he was dressed for work, mid 50s. Public transport is awful. People were rude when I had crutches, and now they look me up and down or ignore me if I ask for a seat. It’s often women who stand up when I say that I need a seat. What upsets me is that I couldn’t even stand up properly on the bus to address his behaviour without leaning and limping, which made me feel somehow socially lesser, or embarrassed. I reckon if I were a make of my height, he wouldn’t have done it. As with others, as I don’t look mobility impaired, nor elderly and I can get treated very badly. Do YOU have a short story of what happened to you and of public attitudes towards disability? How have the public looked on at you as a disabled person with an ‘invisible’ condition? Please email it to us or fill in the Contact form and we will show the stories on this page.